Maya Angelou put into prose and poetry the emotions felt by ordinary people about events that touched us all. In doing so, she expressed the aspirations of millions and the hopes they share for a better world. In A brave and startling truth, a poem which she wrote and recited at Ceremony marking the 50th anniversary of the United Nations - a poem dedicated more to what the United Nations could be than to what it is - she identified the contradictions of man's behaviour to his fellow man. We learn that we are neither devils nor divines". The depth of these feelings and the capacity to express them so exquisitely came from a woman whose formal education did not go beyond High School, who was raped at the age of eight by her mother's boy-friend, who was pregnant at 17, and whose deprived circumstances – no less than her race - forced her to work as a prostitute, a restaurant cook, a street car conductor and a cabaret dancer. This same woman was the recipient of more than 30 Honorary Doctorates from Colleges that revered the authenticity of her work and the legitimacy of her voice - a voice that could express itself in six languages. On his inauguration as President of South Africa, that most famous of all prisoners – the quintessential symbol of men and women imprisoned for standing-up for rights and fighting for justice – Nelson Mandela touchingly and poignantly read Maya Angelou's "Still I rise". Just as Still I rise could be the anthem of the peoples of developing countries who were exploited for generations, so too does "I Know why the caged bird sings" represent their desire to break free of the cage in which the unfairness of the international economic and political system continues to ensnare them. Asked later if Clinton's Presidency had satisfied the hopefulness of the Poem, she said: "No. But fortunately there is that point about hope: it is never satisfied. It is met, sometimes, but never satisfied. If it was satisfied, you'd be hopeless". 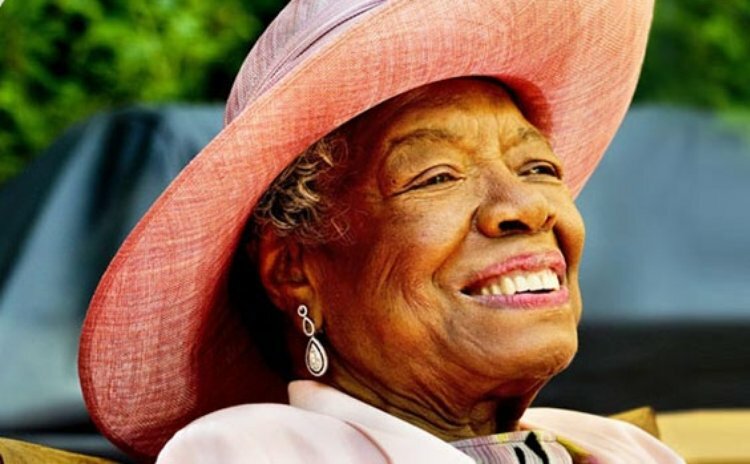 Maya Angelou was – as she said in her Poem Phenomenal Woman – "Phenomenally. Phenomenal woman, that's me."